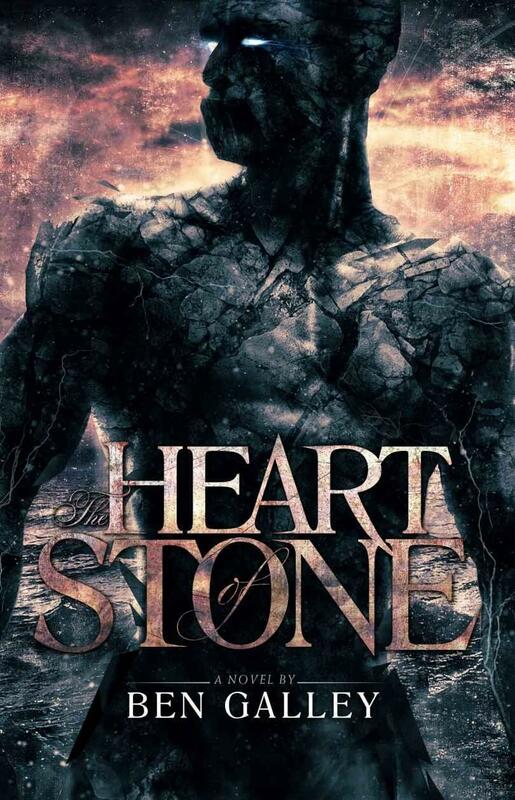 Readers who prefer their adventures at a spirited pace may find Ben Galley’s The Heart of Stone a trying read, but those who stick with it will discover its battle-hardened protagonist has surprising emotional depth. Task is a Wind-Cut Golem recently traded to General Huff Dartridge. Unstoppable on the battlefield, Task quickly ends the stalemate of a decade-long civil war despite having grown weary of his blood-soaked existence. As the Truehards advance across the line, the ancient golem finds solace in the most unlikely of places, a stable girl named Lesky. Meanwhile, the Fading calls in its own champion to confront their deadly new enemy, Albast the Dawn Knight. Galley deftly pairs the struggles of war against the inner battles of the men and monsters that populate his world. Task’s nature makes him incapable of connecting with people — seeing them as greedy, immoral “skinbags” — yet this emotional distance grants him a keen moral sense, an inhuman humanism untethered from pride and nationalism. Albast, in turn, is a man who has indulged too much in humanity and proves a delightful foil for Task. After years of squandering his fame as the last dragon slayer on wine and women, this libertine must find a purpose if he is to confront the golem. Journeying with these two as they discover causes worth fighting for is where the novel truly shines. Other characters don’t fare as well — at least initially. Lesky is the precocious youth who sees Task’s humanity where others fail to. Huff is the prideful leader more concerned with fame and fortune than his countrymen. And Tespin feels like he was outsourced from his regular gig as an ‘80s movie bully (complete with comical comeuppance). These characters do grow to be more dynamic in time, but it can be slow going waiting for them to break free of their molds. The story also takes its time. Despite several thrashing battle scenes, the first third of the novel drags. Because Task sees each engagement as just another in his long, sordid career and tears through his enemies like he’s activated God Mode, there are few stakes to care about and little to dread despite the horrors on display. Whether you enjoy Galley’s worldbuilding will depend heavily on preference. Galley deliver’s information piecemeal, letting the characters, not the author, navigate the reader through Hartlund. A notable example is the magic system, an enigmatic force that lacks the ridge structures of, say, a Brandon Sanderson novel. While the world’s magical workings are explained, you only learn what the characters know and many mysteries remain by the end. Similar choices throughout make the world feel expansive and authentic. If you’re the kind of reader who packs her bags to live in abroad, choosing to learn the language through cultural immersion, then you’ll be at home with Galley’s style. If, on the other hand, you prefer a curated tour of other countries — complete with a docent to provide the history of every landmark — then The Heart of Stone may not be the book for you. I am happy I packed my bags. The day that gripped the Irkmire Yawn was a foul one. The strip of sea was strangled with eager winds, the air choked with icy drizzle, and the sea boiled to a spray. The only mercy the Yawn could offer the valiant men of the glorified barge was its size. The gap between Irkmire and the soaring cliffs of Hartlund was barely eight leagues at its skinniest point. The journey may have been a detestable wash of rain and saltwater, but it was a brief and relatively steady one. The Bilgesnapper was a stout craft. Its squat shape and mean, flat prow bludgeoned the waters aside, bothered not a penny by the swell. With the sails stripped almost bare, and the belowdecks crammed with two-score of sweating rowers, the rest of the barge’s crew had taken to sulking below the gunwales. They blew into their hands and grimaced through the murk. Each of them rocked back and forth in odd and silent unison, slave to the monotonous canter of the sea. ‘There ain’t nought miserabler than a Lundish fading’s day,’ wheezed an old sailor, trussed up in two thick coats and still shivering. His olive skin spoke of a southern heritage and time spent in the sun. Even the seawater and drizzle hadn’t managed to bring a chill to it. Ole Jub was right. The others around him murmured in agreement, each of them pulling at their collars, as if the mere sight of Jub made them all feel the cold a little keener. Another sailor took up the chatter, eyes wide and urgent under the brim of his floppy brown hat, which had wilted in the wet. He had a worry in him, and was eager to see it voiced. He was not alone; a few of the sailors around him shared the same awkward expression. Norbin wasn’t thankful for her words. He shot her a baleful look over his shoulder. ‘An’ I told you to shut it, Kein. Ain’t the weather I’m worried about, and you knows it.’ His eyes fell back to the deck as another soldier came edging past, spear low. Norbin needn’t have worried; the man was too preoccupied with the… thing. When the soldier had passed, he snuck another look at the great lump sitting square in the centre of the deck, beside the mast. There was an empty circle around it, made out of fear. Nobody—not one soldier, not one sailor—dared to come within an oar’s length of the thing. If that wasn’t reason enough to worry, Norbin didn’t know what was. As if to punctuate the order, a stray wave stole over the gunnels and splashed their huddle. The sailors moaned as cold water seeped under collars and into the throats of boots, finding new crevices to chill. ‘Deffing Yawn,’ swore Norbin. He was about to give Kein another piece of his mind when a noise stole away his words. It sounded like the popping of knuckles, or the low grumble of a distant landslide. The chains rattled once and then fell still again. The others chuckled. Norbin spat on the deck. ‘Could tip over the side, bein’ so heavy n’all,’ ventured another shipmate. He was a tall lad, tall enough to poke above the gunnels and receive more drizzle than he deserved. His cheeks were scrunched up so tightly his eyes were two thin slivers. ‘Cap’n doesn’t want it moving around, is all,’ said Kein. The crew begrudgingly saw to it. Apparently a little more begrudgingly than management would have liked. ‘I said SEE TO, you ingrates!’ roared Botch. ‘Yessir!’ The crew scurried across the deck, giving the cargo a wide berth, although they still allowed themselves a quick glimpse through the ring of soldiers. The Bilgesnapper nosed into a shallow crescent of grey beach that lay in the shadow of the Drunken Cliffs. A gaggle of people waited on the sand, maybe half a dozen at most. Norbin stretched his neck upwards to gaze at the rocks, as was his habit whenever they came to Hartlund by this route. They had sailed the Yawn less and less in recent months. Something to do with the Lundish being penniless. The Drunken Cliffs were aptly named; only alcohol could elicit such an angle from its victims. The slabs of grey granite were pressed tightly together, halfway fallen like slumping books on a shelf. Their lofty heights were covered by dark green grass, and the barely visible threads of a small crowd. Between them and the beach, a jagged yet impressive footpath ran in a zig-zag through the rock. Now that the barge had been swallowed by the shadow of the rock, the day seemed even gloomier and wetter than before. Fortunately for Norbin, he was on anchor duty, and that meant a scrap of shelter behind the fat capstan, to the side of the bow and under a walkway. From there, he could get another decent eyeful of the thing; as big an eyeful as the murk could afford, at least. If he peered hard enough, he could make out contours beneath the green tarpaulin, and gauge the girths encircled by the chains. The soldiers had taken a liberal approach with the irons. The thing was practically clothed in them. Norbin silently begged it to move, as if to prove it was not some sort of rain-crafted mirage; a trick of the sea- spray. ‘Yessir!’ Norbin inwardly groaned, but did as he was told. Kein scurried past him, always eager to lick an arse whenever one was presented. Norbin glowered at her as he put one hand on the cog and one hand on the brake. ‘Hold oars!’ yelled the captain. Hecka was her name; a Graden who’d inherited the Bilgesnapper from her dead father. She sailed it as though it were his tombstone. The big barge shuddered as the oars were held fast, bucking the momentum. There was a squeaking of painted wood on wet metal as the oars were brought in. They stuck on the shale beneath the waters. Norbin always like to count. His challenge was to see if he could make the crunch land on three. To his private infuriation, he was always slightly out. With a loud scraping, the flat bottom of the barge met the beach, pressing the scattered pebbles into the sand. Norbin released the brake and held the pressure of the cog for a moment before gently loosing it. The snub-nosed bow slowly peeled away from the ship, forming a ramp between the deck and the damp sand. ‘All yours, Captain Jenever!’ called Hecka. ‘Thank you, Madam,’ said a hoarse voice amongst the soldiers. Norbin toyed with his thumbs behind his back, squeezing them between fingers. He could tell Kein was looking at him, but he didn’t give her the satisfaction of meeting her gaze. He could feel what little colour he had left in his face draining away. From there, at the bow, he could finally understand the architecture of the chains. His eyes tumbled down the outlines of the thing. Head. Shoulders. Arms. The sound came again; that rumble, like fawl bones cracking. It sent a shiver down Norbin’s spine. The thing didn’t deign to move. It felt as though it was taunting them. ‘I said, wake up!’ The captain poked again. The thing moved. Its form shifted under the tarpaulin, head twitching to the side. ‘Now behave!’ Jenever warned it, bringing her sword-tip to bear. The only answer she got was a noise that sounded like two rocks grinding together. The thing seemed to have other ideas. Slowly, inexorably, before fingers could get to bolts, it rose to standing. The tarpaulin was ripped aside. Chain-links unfurled as if they were made of rusted wire. Chunks of planking sprang forth, skittering across the deck. The soldiers stood frozen in awe. The monster was immense, standing at least nine foot-lengths tall without being generous. Its flesh was made of slabs of stone knitted together, ashen-grey with veins of misty blue, shifting with every crunch and shiver of its swollen limbs. Its shoulders were as broad as a battering ram, and its fingers were jagged shards, stained black like a fireplace and shining like marble at the tips. Norbin felt his gaze being drawn towards the thing’s jagged face; heavy-jawed and angular. He could not avoid those eyes; bewitching points of light that seemed to escape scrutiny, floating in two deep-set black hollows. They fixed him with a cold look as he passed, and the sailor felt his chin quiver as the stone beast marched down the ramp with purpose. Norbin knew then that he would die a different man than the one who had started the day picking weevils from crackers. He would go to his grave knowing that it was not man which the Architect had built in his image, but this great monster who had pierced his soul in the time it took to share a glance.